Although visiting Malaga is always a good idea, regardless of the season, doing so for Saint Valentine’s Day allows you to discover the city enveloped by the most romantic atmosphere. You will see with a different set of eyes Malaga’s famous landmarks, and you will have the chance to enjoy your soulmate’s company in one of the most romantic places in Andalucia. Find out which spots are ideal to say “I love you” and receive the best answer possible “I love you, too”. Of course, the most straightforward plan for two in Malaga is to go for a stroll, hand in hand, in the narrow streets and magic squares spread in the city centre. Pass by the magnificent Cathedral, stop in front of the romantic Alcazaba, especially at night, and find out your special corner in the Patio de los Naranjos. Behind the Alcazaba, a path leads you to the Castle of Gibralfaro, where you will have the city of Malaga at your feet. 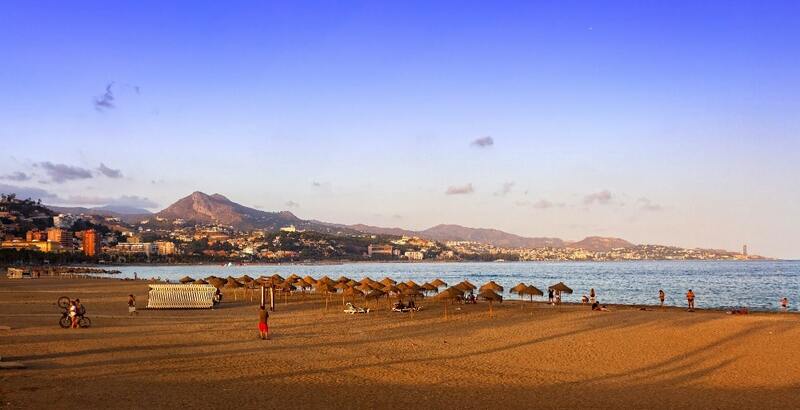 A 360º view, from the beach of La Malagueta (one of the beaches in Malaga city) to the Cathedral and the western mountains of Malaga, provides you with the most romantic spot to say “I love you”. Tip: because the path may be a little steep, you can also reach the Castle by taking the bus line 35 leaving from the central Plaza de la Marina. Next to the city centre, the recently-renovated Muelle Uno features a romantic promenade near the sea. The famous Palmeral de las Sorpresas separate the Noria Princess from the commercial area of the Muelle Uno. 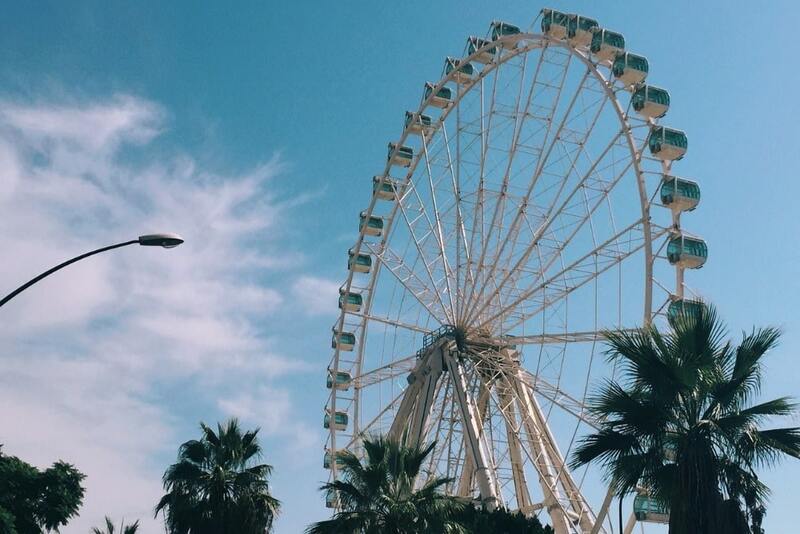 First, you can go to the Ferris Wheel “Noria Mirador Princess” and, for €20, you and your better half can enjoy a 45-minute trip to enjoy the 360º overview at the height of 70mt. 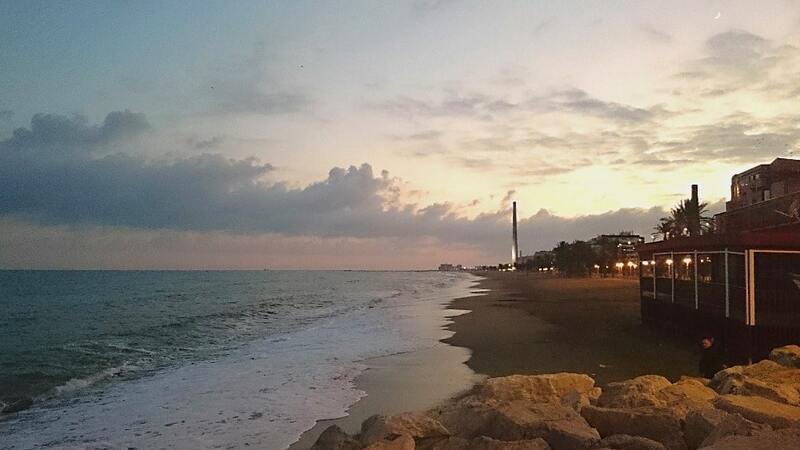 Then, stroll along the whitewashed Palmeral de las Sorpresas, sit on the benches of the park, as you head towards the Muelle Uno. 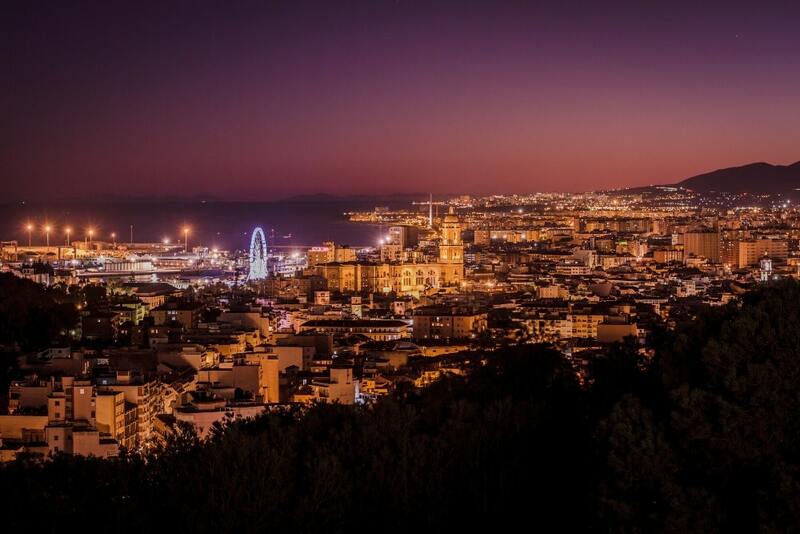 Here, you can sit in one of the bars and restaurants overlooking the port and the skyline of Malaga, to impress your partner with a delicious dinner and spectacular views. Of course, you will have to eat something while in Malaga for your romantic getaway. Bars to have breakfast are spread all over the city, and you can have your lunch in one of the chiringuitos on the beach since some remain open even during the low season. 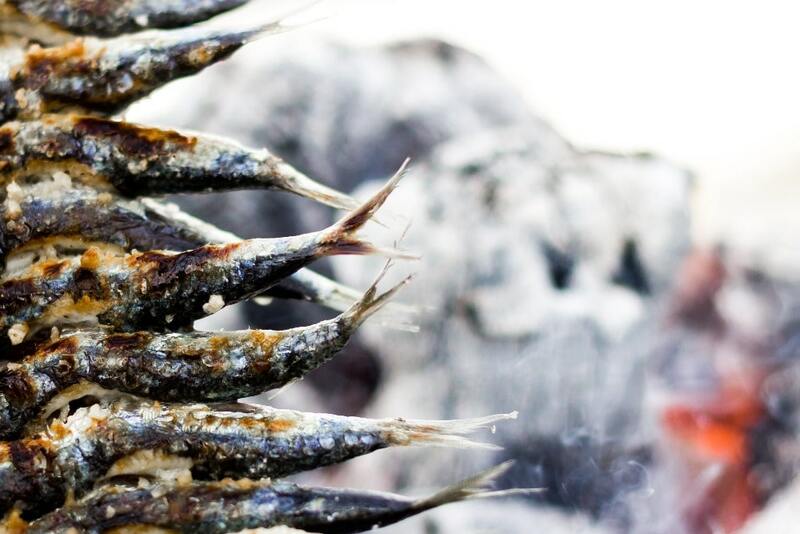 Try the famous pescaito and espetos de sardinas, which you can romantically share with your better half as you both look to the horizon. Lastly, the best places to have dinner are, as mentioned before, in the Muelle Uno, which provides you with several peculiar places and some of the most enchanting views of Malaga. The long shores of Malaga offer splendid promenades where you and your partner can stroll, as you make the most of the views, the closeness to the sea, the salt breeze and the chants of the seagulls. 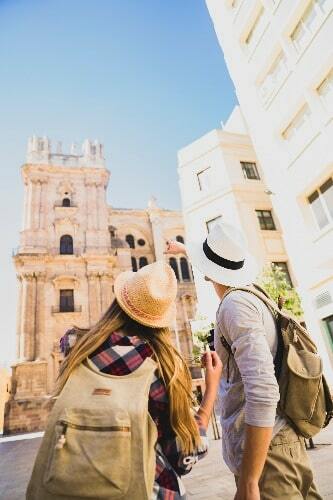 On one side, the Paseo Marítimo Antonio Banderas leads you to the western part of Malaga, and, while walking, you will come across the famous Torre Mónica, one of the most romantic spots in Malaga to declare your love to your partner. The original name of this 1923 construction was “Chimenea de la Antigua fábrica de Plomo de Los Guindos” (Chimney of the old lead factory of Los Guindos), but one day in 1993, the name “Monica” appeared written on it. After a fight, the malagueño Jose Carlos painted the name of his girlfriend all along the chimney, to prove his love to her. Despite the paint ending before he could write what he had in mind (“Monica, te quiero“), he could terminate the name of his girlfriend, who, of course, knew then that he was the love of her life. Even though the paint was cancelled during the renovation of the chimney, everyone in Malaga remembers this love story (Jose Carlos and Monica are now married and have three children – link in Spanish). 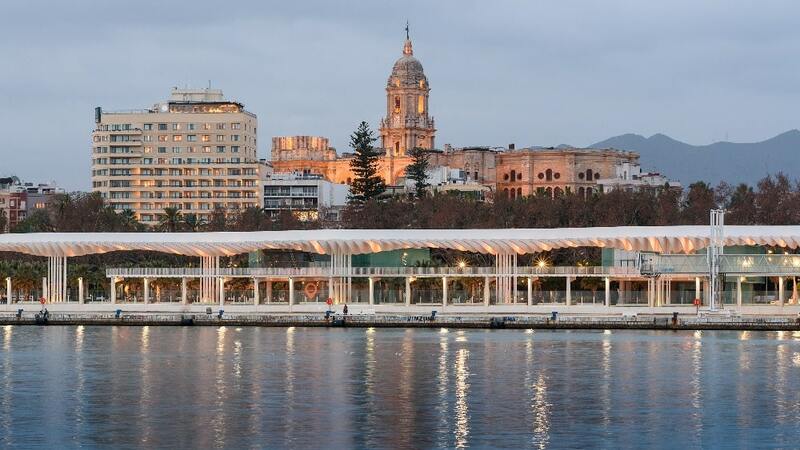 The other famous promenade in Malaga is the Paseo Marítimo Pablo Ruiz Picasso, which flanks the beach of La Malagueta. Take a romantic picture near the stone letters on the beach, and then head towards East to the Baños del Carmen. This whitewashed building, the emblem of the splendour of the 20s in Malaga, is another perfect spot to have your love picture taken. 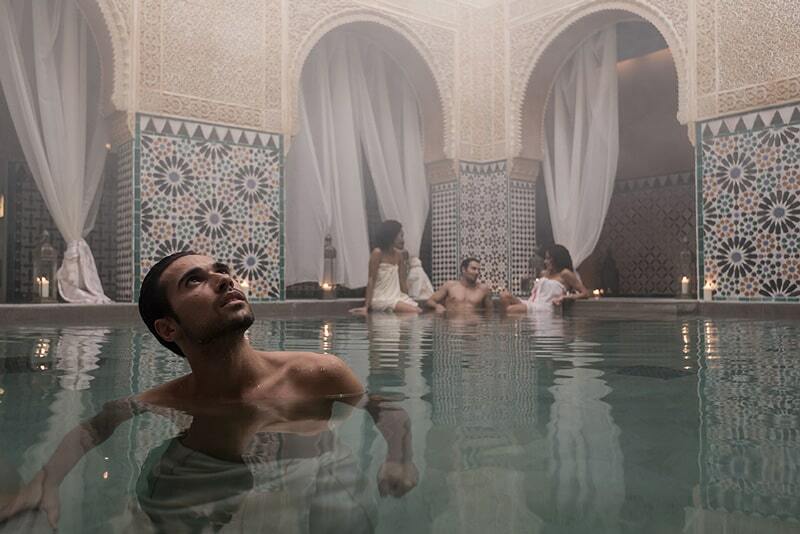 If you’d rather unwind and relax, enveloped by a Moorish atmosphere, book an afternoon in the Hammam Al-Andalus. These Arab Baths, located near the Iglesia de los Mártires, in the city centre, offer several experiences, such as massages with different essential oils, and numerous kinds of baths. This is the best way to spend a relaxing Valentine’s Day with your partner in Malaga. Although there are plenty of spots to have your romantic picture taken in Malaga, the province’s most romantic town is Villanueva de la Concepción, 40 km north of Malaga. If you’re planning a romantic getaway, you should consider this town. As you can see on the map below, Villanueva has been provided with a 10-step Route of Love (10 Pasos del Amor). Each step is a romantic phrase where couples can have their picture taken (some examples are “Whisper in my ear”, “Kiss me in this corner” or “Drink from my lips”). Definitely, a place to visit if you’re in love, and you want the world to know! Just the name of this spot should ring a bell, as its literal translation would be “The Lovers’ Rock”. And the legend that’s related to this 878-mt mountain seems to have been taken from the best Shakespearian love tragedy. In fact, legend has it that two lovers, he a Christian and she a Muslim, preferred to commit suicide by throwing themselves down the mountain rather than being separated for their forbidden love. 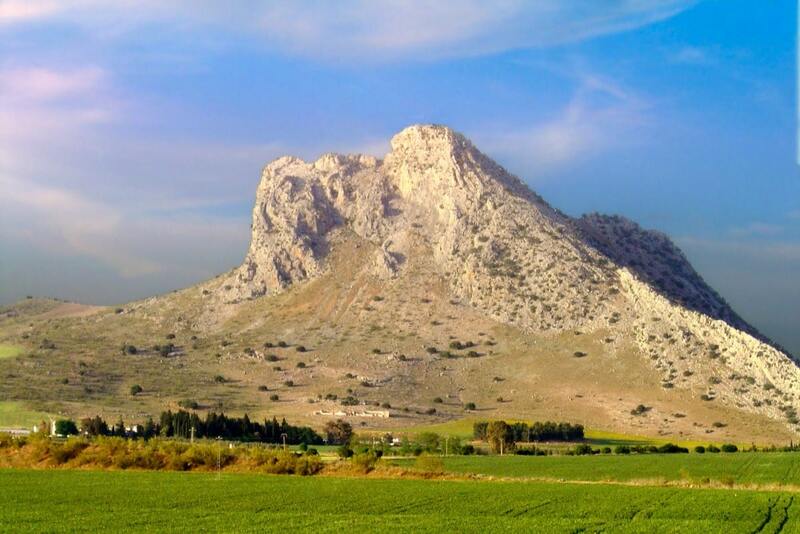 You will spot the unusual shape of the Peña de los Enamorados 50 km north of Malaga, near Antequera. Romance isn’t dead, and you can prove so to your better half by surprising him/her with a romantic getaway to the area of Malaga. Plenty of holiday homes and apartments are provided with the comforts a couple requires, as well as privacy and Jacuzzi, maybe 😉 To sort all your options, click the link and discover the best holiday home for couples in Malaga. Surprise your partner with a getaway to Malaga to celebrate Saint Valentine’s Day!